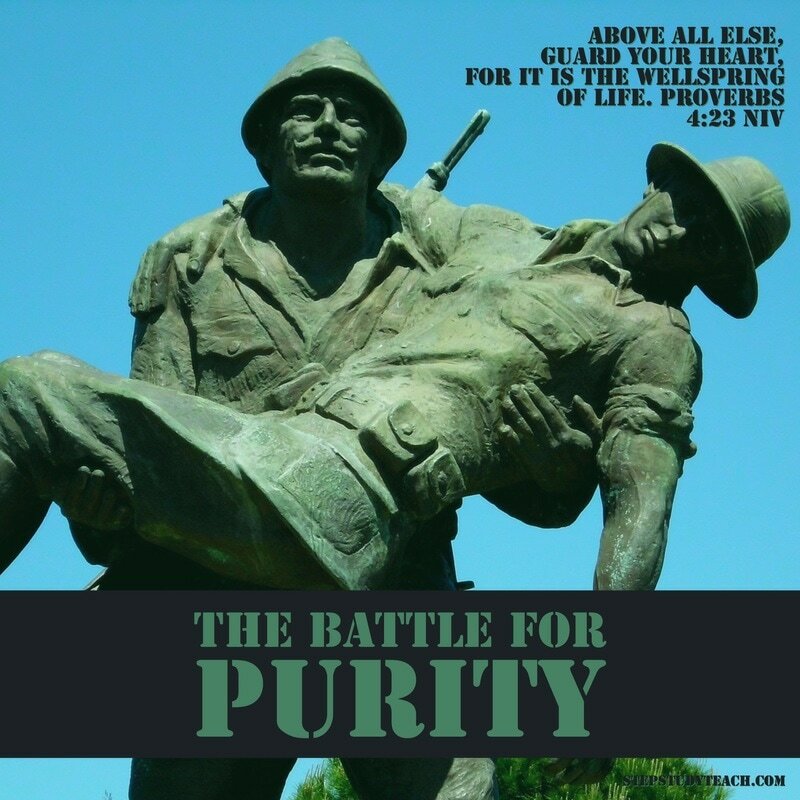 There is a battle on for your purity. Can you sense it? Do you recognize the battle that is waged inside and outside of yourself? What is the focus of this battle? Your heart. It is your heart that contains your life. When your heart is contaminated, the impurity spreads to the rest of your life. That is why God tells us to guard our hearts. We are to guard our affections - what we love. We reveal what we love by how we spend our time, how we talk and who we obey. So God tells us to guard our love. Be careful how we spend our time, how we talk and who we are following. The enemy wants to water down our pure love for God. He will tempt us with many counterfeit loves - all with one aim - to steal our hearts. Sometimes, we are our own worst enemy. We can freely give our hearts away to false loves. Without any prompting from the enemy, we bring impurity into our own lives through our eyes, mouths and ears. As impure images float unchecked past our eyes, as unkind language flows from our lips, and as unfiltered music and words penetrate our ears, there are drops of impurity that enter our hearts. This sacred, inner place is left unguarded when we choose to view impurity as an annoying friend, rather than an enemy. Will you take your stand against your own impure desires and against the enemy's tempting advance? 2 Corinthians 10:5 says, "We demolish arguments and every pretension that sets itself up against the knowledge of God, and we take captive every thought to make it obedient to Christ" (NIV). ​This is an aggressive position against impure thoughts. Will you fight impurity in this way? Will you cut off the smallest advancing impurity, instead of letting it linger near your camp? Your heart is at stake. Your life hangs in the balance.